It's cold again here in NC after a few days of spring like temps. Brrrr! 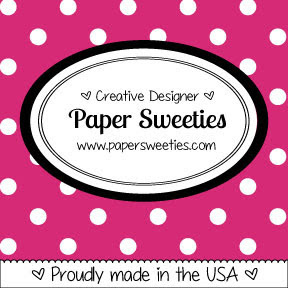 Whatever your weather, sit back and relax and check out Paper Sweeties today! This month instead of a product release, we are doing a Winter Blast of past favorite products. I tried a new-to-me technique at a card class by my friend, Bonnie Klass this past week using baby wipes, ink and multi-media paper. You take a baby wipe and dab some ink from the lid of some dye ink and rub it on the paper. You won't believe how smooth it goes on! Or maybe you will because that's my background of my card. I also followed a technique from Jennifer McGuire to create an "in and out" card. I stamped the snowflakes in Versamark and embossed with white emboss powder. Then I smoothed on the ink colors with a baby wipe. Next I die cut the mug through the card front and affixed the mug to the inside of the card. So now, it's part of the outside and inside of the card. Very prettty Nance! I might just have to try this technique...stay warm! 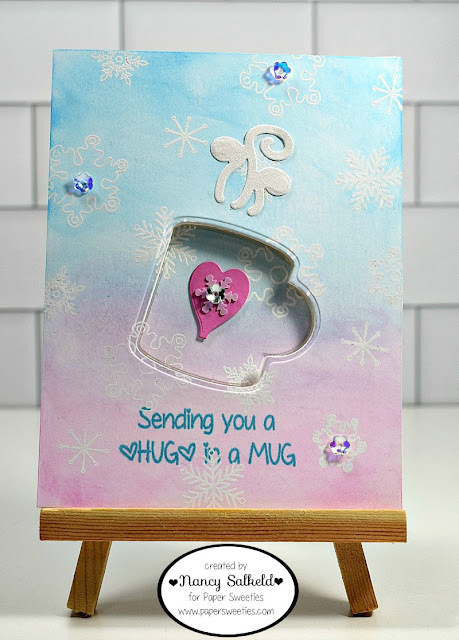 A fun card with the mug inside and outside, Nance! Glad you enjoyed the technique. It made a fantastic background for this card! Beautiful card inside and out! Love the mug with the heart and the wonderful background...so pretty! I’m gonna have to try this technique! It is so pretty! Love your pop out mug! So cool! I will be glad when this cold weather disappears! Love that you can enjoy that mug on the inside and outside of the card! So pretty and really great design! What a sweet card...love your adorable mug! Now this is so cool, l like this idea! Stay warm! Hugs! Beautiful winter card.Good luck! 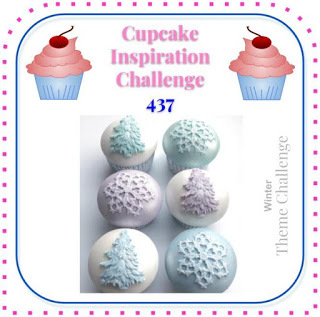 Thank you for sharing with us over at Cupcake Inspiration Challenges!